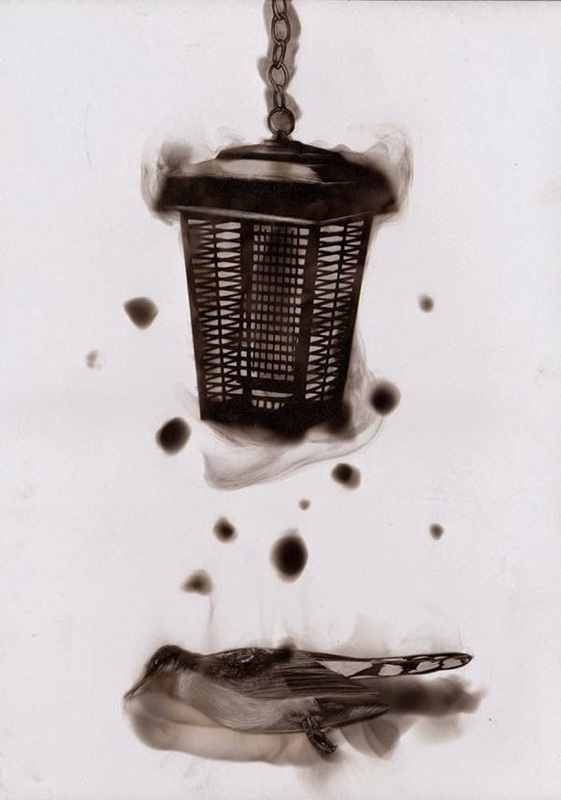 Unique paintings using the flame from a candle to create trails of soot on a piece of paper which he then refines with a brush or a feather, a technique he developed and perfected. 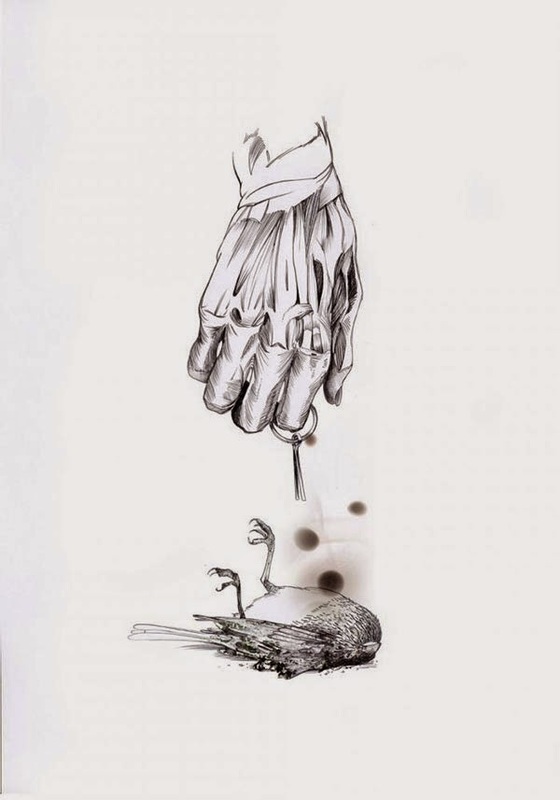 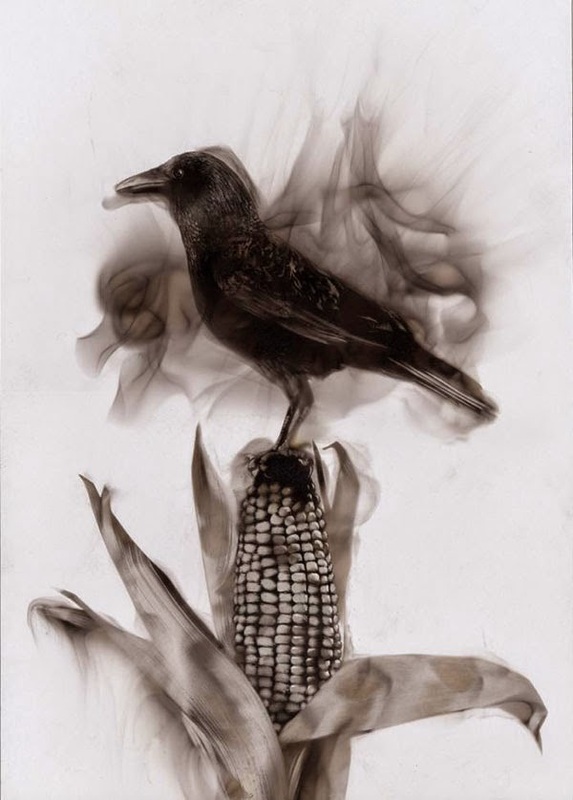 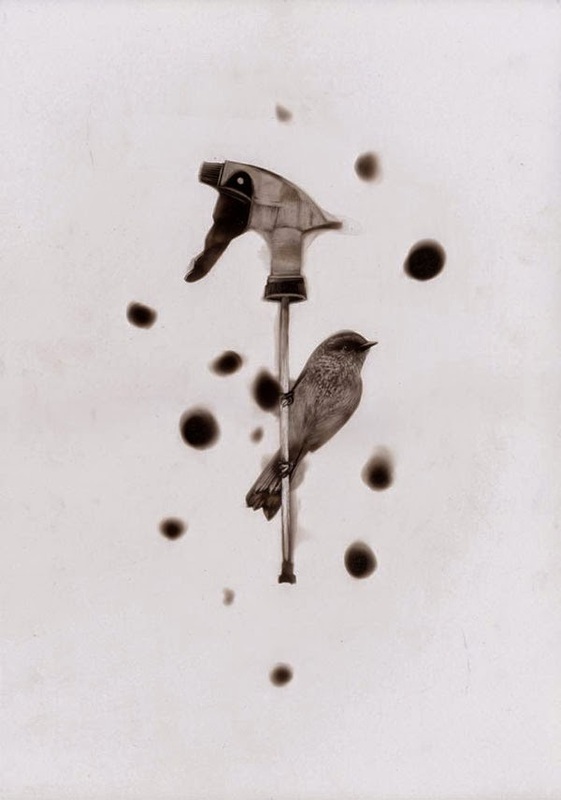 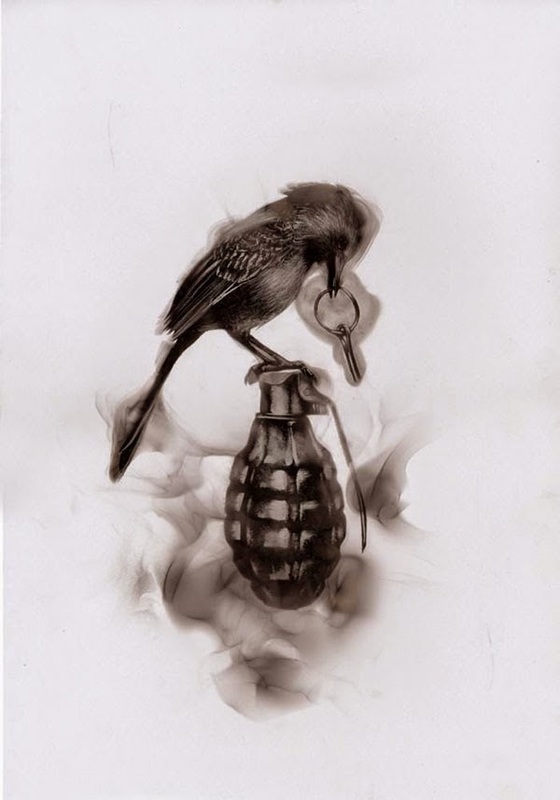 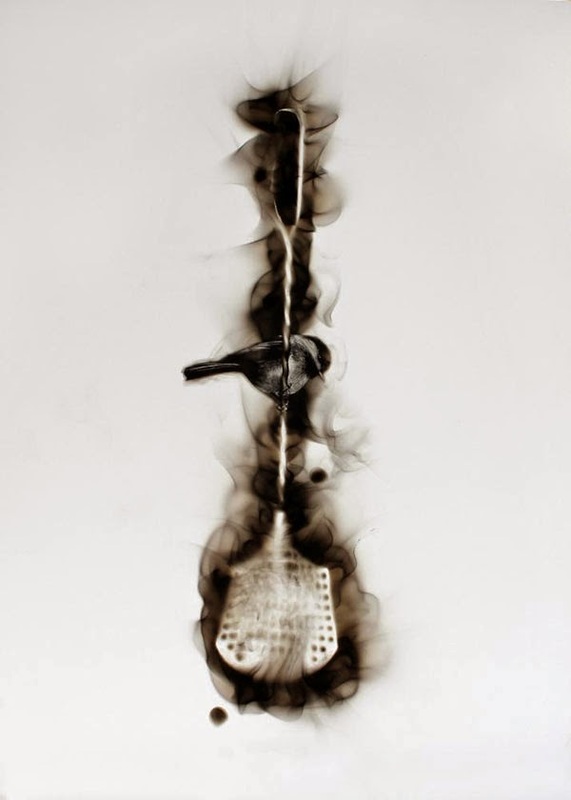 His latest series of soot paintings entitled Ornithocide features live and dead birds juxtaposed with various manmade devices designed to kill insects. 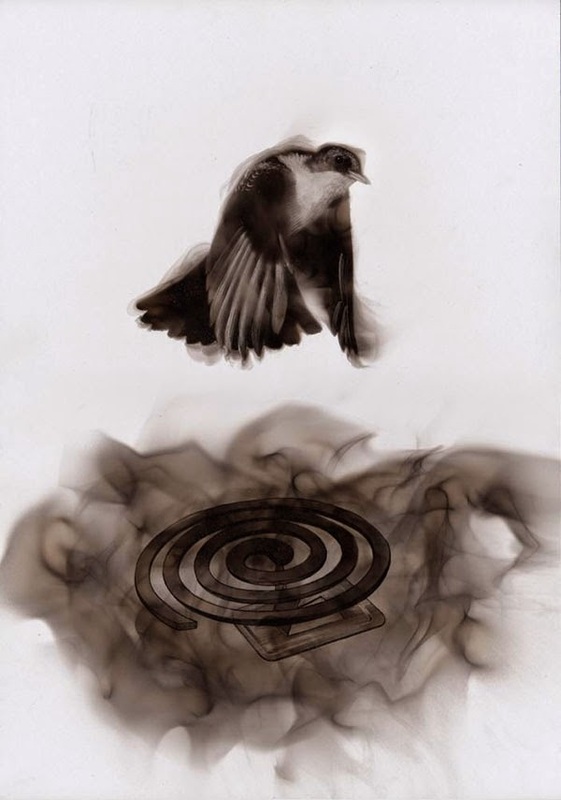 Like the classic "canary in the coal mine," Spazuk reflects on the shocking population decline of insectivorous birds as a clear warning to humans that these toxins are making their way through the food chains and the natural cycles. 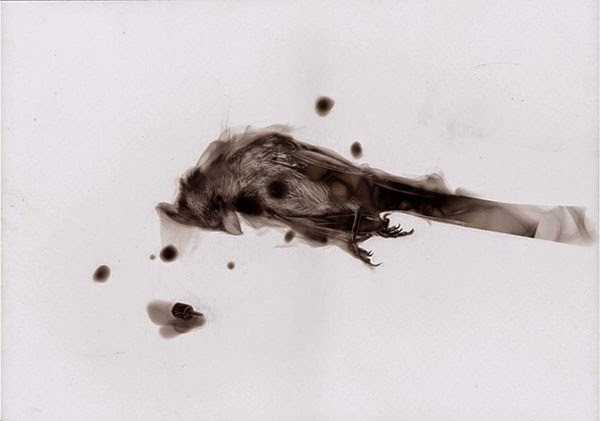 Like a dark mirror, the death of millions of birds forces us to see the threat we pose to the planet and all living systems, including ourselves.